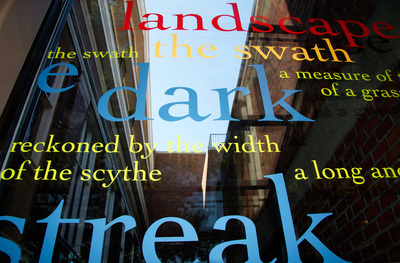 Re/Collect is the first site-specific collaboration between artist Cheryl Wassenaar and artist/poet Stephanie E. Schlaiffer, installed on the atrium windows at the Sheldon Art Galleries in St. Louis, MO. Wassenaar works with three of Schlaifer's poems about the Midwest's severe and often unpredictable storms. 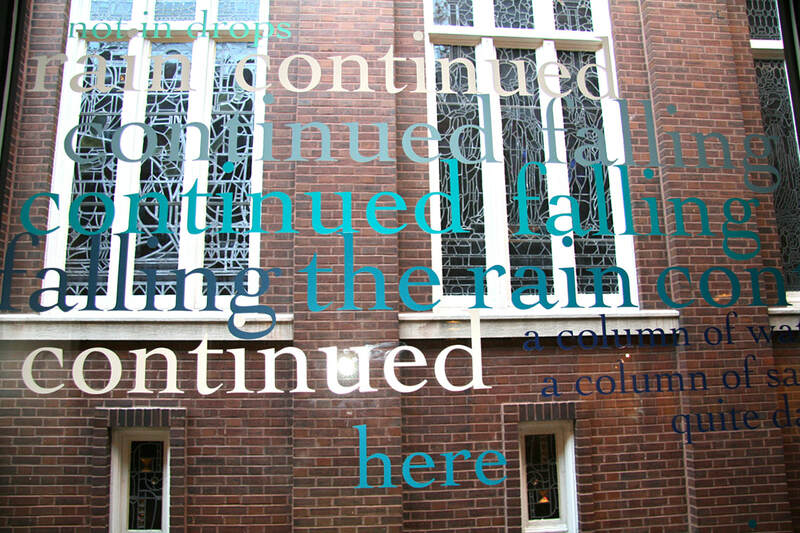 Recomposing the poems' text in cut vinyl lettering, Wassenaar creates a visual interpretation of the text's images, positioning the language as if the viewer were in the midst of the storm itself. 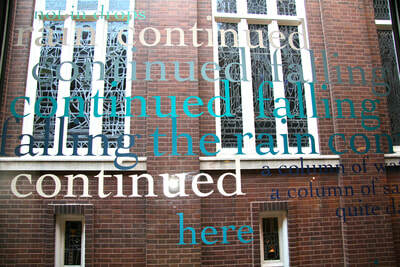 Current weather conditions also affect the installation. Bright sun adds translucency, and casts ephemeral, shifting shadows of the letters about the space. Daytime merges the poem with the visual life outdoors; as the sun sets, the poem seems to hover opaquely against the blackness of the sky. 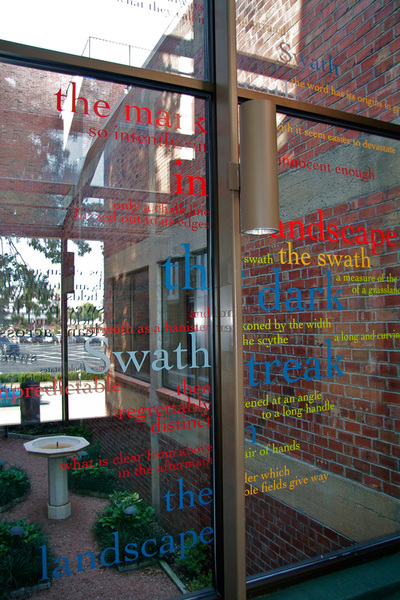 In Swath, the two facing windows of the corridor give shape to both the vertical and the horizontal nature of the tornado. 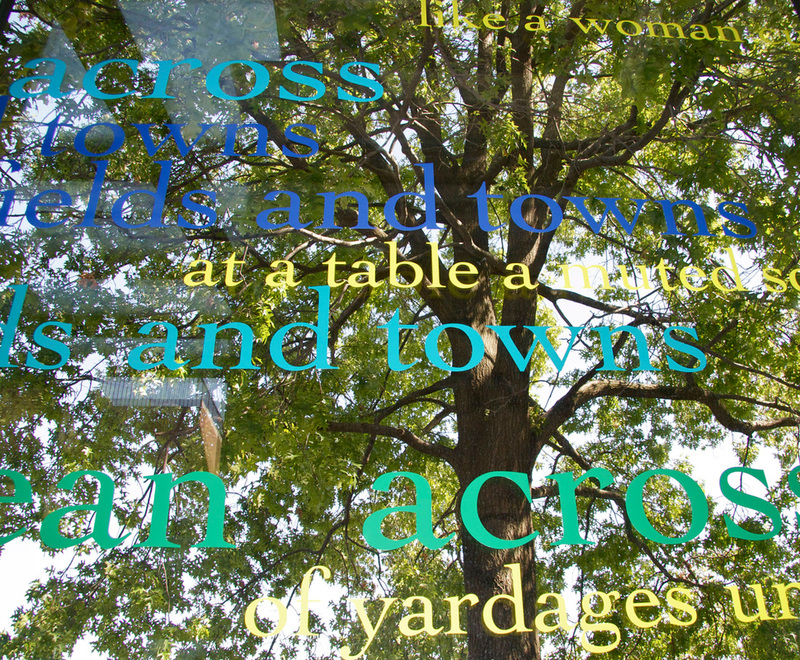 Wassenaar uses the architectural division of a window pane to cut the poem in two, as the title suggests. 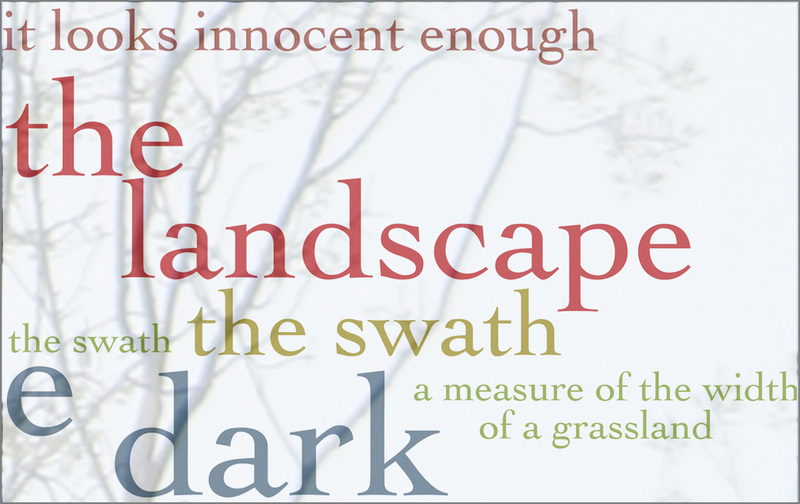 In From the Old Northwest, a found poem which was created entirely from fragments of 19th-century newspaper recollections, the first line provides the ground plane upon which the brewing storm sweeps across the landscape.